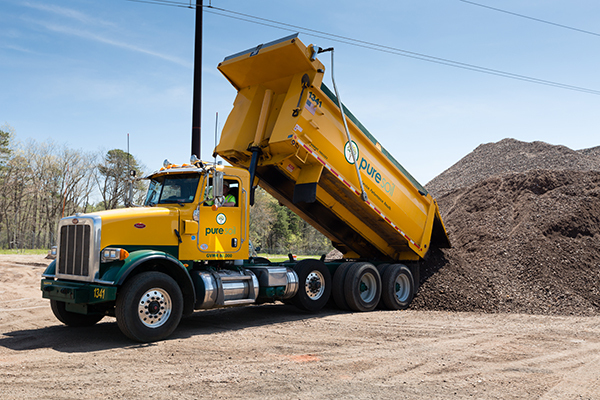 Pure Soil is committed to being a true full-service recycling company. 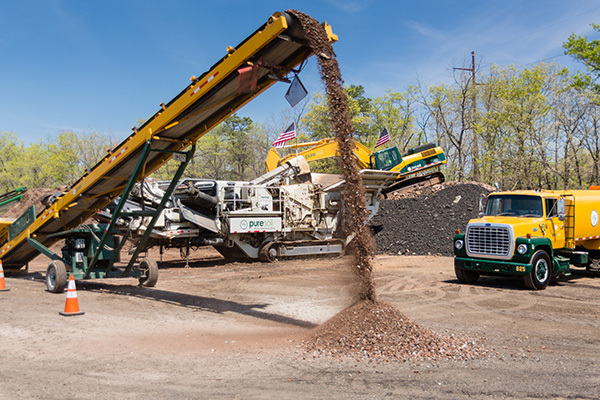 From start to finish, we can help you manage your recycling project and materials in a manner that will save money, by increasing project efficiency through organization and innovation. 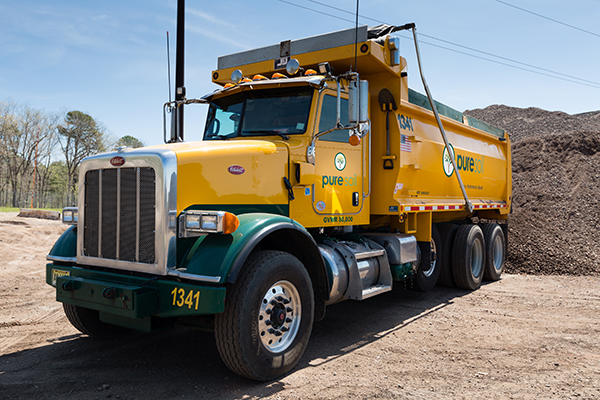 Since our start in the recycling business in 1991, we have always believed in working closely and cooperatively with our customers, so that they could perform profitably and win future projects. In this spirit, we feel we can use our knowledge of the industry to offer innovative ways to manage these materials. 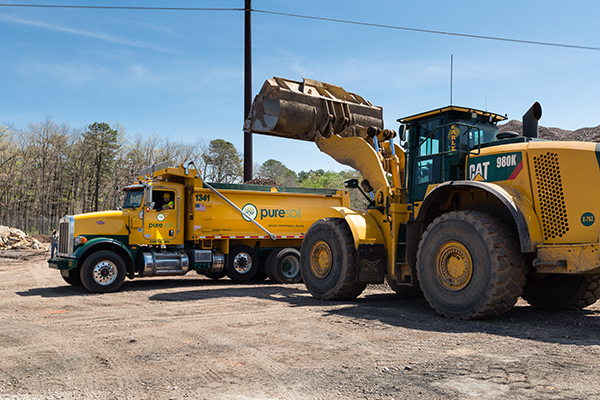 Our diverse set of capabilities provides our customers with the ability to take a project from start to completion with just one call. First, we take products that would otherwise be disposed of in landfills, taking up valuable limited space and turn those products into environmentally safe valuable end market materials. Second, we limit the demand on virgin materials such as, stone and sand, that would otherwise be used in there place. Third, the process of recycling and reusing saves money. Lower construction costs equate to savings that are ultimately passed onto the consumer. It is thru this commitment to protecting the environment and improving the quality of life that Pure Soil was founded and has grown. It is a core component of corporate values and will continue to be the foundation for our future. 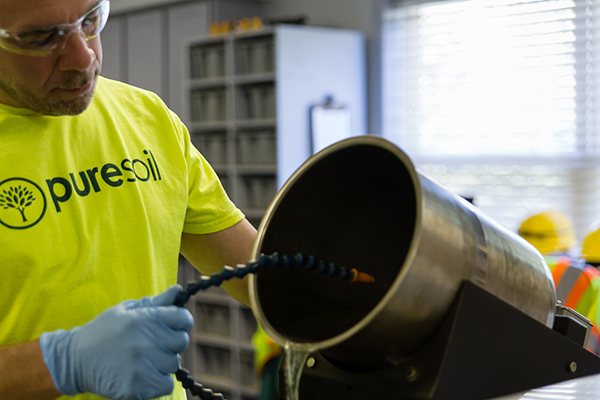 Working with our clients and project owners, Pure Soil evaluates what the particular requirements are for a given project and tries to develop the best solution for getting it done. Through this we try to develop a win, win, win strategy for all. We feel in doing so we will build customer loyalty that will surely give us an opportunity for future business. Having been in the business since 1991, we know that many of the projects we participate in have very similar requirements. We have developed our products and services to fulfill these requirements and we continue to grow and add as the need requires.